Shirley Ann Morgan Fritz, 78 of West Portsmouth passed away Thursday, August 30, 2018. 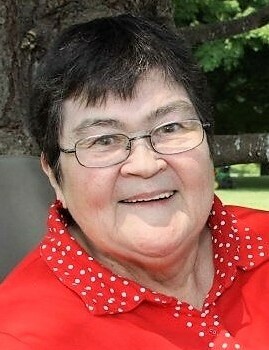 She was born July 1, 1940 in West Portsmouth to the late Ott and Ellie Davis Morgan. She was one of ten children. Along with her parents she was preceded in death by her beloved husband, Jack Fritz and several siblings. Shirley is survived by 6 sons; Tony (Lisa) Fritz of Allen, Texas, Jeff Fritz of Columbus, Ohio, Jack (Tracy) Fritz of Ashville, Ohio, Bryan (Tammie) Fritz of Lucasville, Ohio, Andrew Fritz of Ashville, Ohio, and Bobby (Brigette) Fritz of Portsmouth, Ohio, 2 daughters; Pati Fritz Breeden and Margi Fritz both of Columbus, Ohio, 40 grandchildren, 50 great grandchildren, 2 great great grandchildren, and a brother; Keith (Linda) Morgan. Funeral services will be 12:00 PM Noon Sunday, September 2, 2018 at the Roger W. Davis Funeral Home in West Portsmouth with interment in Rushtown Cemetery. Friends may call at the funeral home from 4 to 8:00 PM on Saturday and one hour prior to the service on Sunday. In lieu of flowers, the family requests that donations be made to local school and community food banks in Shirley’s memory. Condolences may be sent to www.rogerwdavisfuneralhome.com.